Global Global Gift Foundation USA united with inClusion ClubHouse invites YOU to take part in an inspirational two-tiered event on Saturday June 3, 2017. Climb aboard for a magical carpet ride. Step into our Cave of Wonders and experience a whole new world of fun and excitement. Guests will enjoy lunch, and dance the afternoon away to the tunes of our Special Needs DJ in our magical Arabian Night’s setting. This year inClusion Clubhouse has joined forces with GGF USA to bring additional awareness and support to this vital cause. The event includes a "magic carpet" welcome and reception, an amazing lunch, remarkable live performances and DJ. An exclusive event of inimitable style, the Global Gift Gala in Los Angeles on Saturday June 3, will fuse celebrity and philanthropy to fundraise on an impressive scale. Our Celebrity Honorary Chair Terrence Howard, Pooch Hall and distinguished VIP guests will unite in an effort to raise funds and awareness for the benefitting foundations and show their dedication to humanity. A star-studded affair, the event includes a red carpet welcome and champagne reception, a five course dinner, a thrilling live auction and remarkable performances from a world-renowned entertainer. 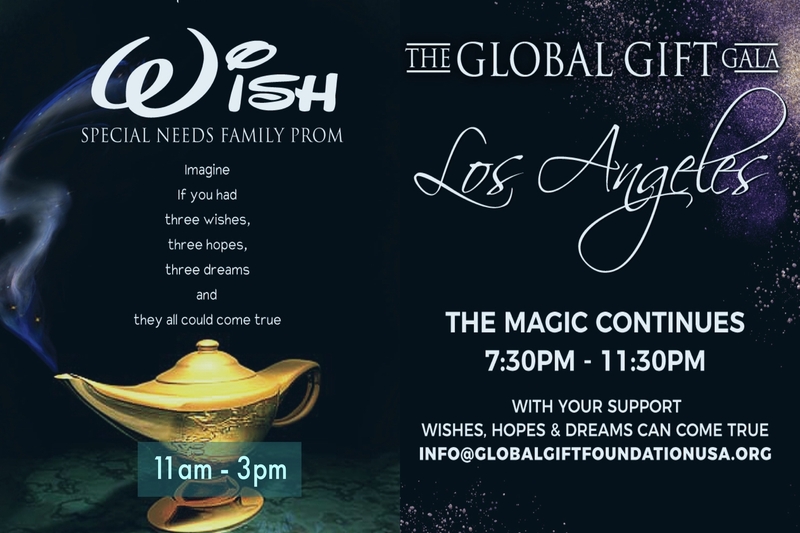 Join us for The Global Gift Gala in LA. This unique event is set to be a unforgettable star-studded experience.